you used an out-of-date link. Please update your bookmarks. restoring old complicated communication radios. in Huntington, West Virginia. All of the staff at the Museum are volunteers. and also volunteer as Museum web pagemaster. 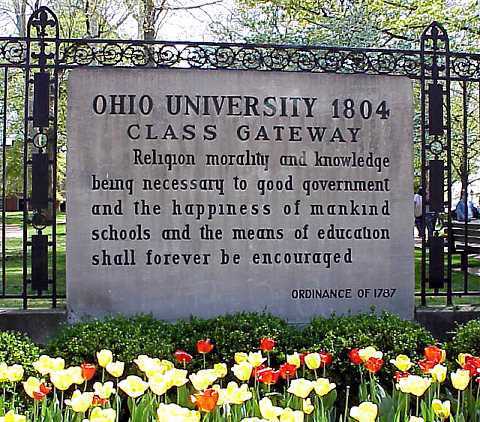 The Ohio University Class Gateway. Check out the University's homepage . is inscribed with the following good advice for those entering and leaving the campus. THY FELLOWMEN, THY COUNTRY, AND THY GOD"
I have retired from Ohio University and am now Assistant Dean Emeritus.